EMERGENCY: I’m at JFK trying to check my bass with Norwegian Air. They weighed it. It’s 90 lbs they are saying that they nor any airline can check it because it’s more than 32kg I’m stuck with 2 instruments, 4 suitcases and a baby. I showed up to the Norwegian Airlines counter at JKF at 6.40 for a 10.05pm flight to Zagreb via Copenhagen. I called and checked in the bass per Norwegian policy over a month ago. The size dimensions follow this policy as does the weight. The weight is 90 lbs and as per the website states, was expected to pay $11 per kilo over 20kg. The woman who initially started to check me in took one look at the bass and said they never check in instruments this size or weight. That JKF never take instruments this size. I showed her the bass policy on the website. 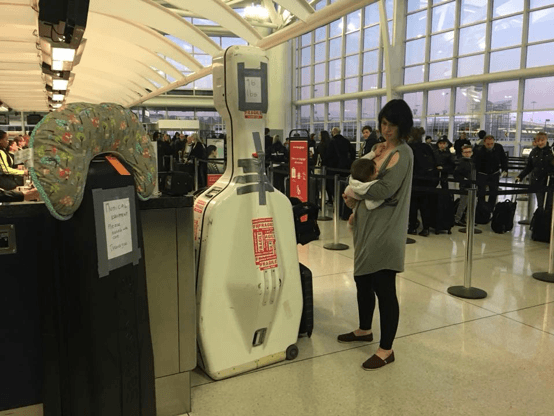 She said that it didn’t matter what it said on the website – it wasn’t going to fit on the plane. I had a TSA agent, an aviation union worker and a Norwegian airlines manager all telling me that the bass would not fit on the ramp and that they don’t have to follow FAA regulations because they are a European company. Wtf! I called NA and told them the situation. The guy I spoke to said that they are not liable for what happens at the airport. He also refused to give me his name, refused to give me a refund and refused to allow me to speak to a supervisor. This was a blame game from hell. No one wanted to take responsibility for the situation and they all walked away, leaving me standing at the counter, breastfeeding my baby. They made me feel like it was my fault and treated me with much disdain and disrespect. I sent my bass back to my husband in Jersey City with an Uber XL. It cost $256.94 plus a $20 tip. After 2 hrs at the checkin counter with no resolution I am now waiting to board the flight along with my brother in law and my baby. The TSA manger was kind enough to walk us through security. Bass players. What airline will accept my bass? Or should I ship it? My husband who has never dealt with a bass will have to take it with him now. Also NEVER EVER EVER fly with Norwegian Airlines. Please please please share this post and photo!